Now you can own a First Female Doctor Who Plush. 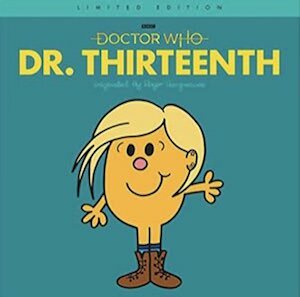 Doctor Who fans will really like this plush of the 13th Doctor. The plush is 4.5 inches tall and rated age 5+ so that kids and adults can enjoy playing with one. 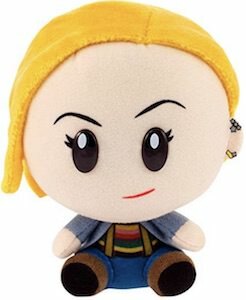 The plush of the doctor looks really like her with her blond hair and her facial expressions and there is her famous outfit too just like you have seen her wear on TV. 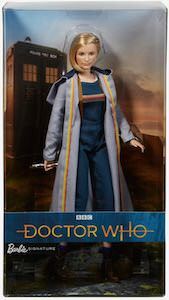 And this plush of Doctor Who comes in a nice box with a window so that you can choose to keep the Doctor in new condition while being able to see her. Now you can watch the complete Doctor Who 11th Series. 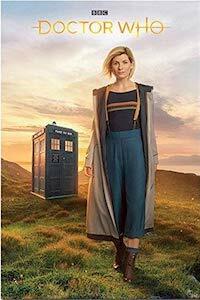 As the 13th Doctor was the first female Doctor Who you really should have her first season in your Doctor Who collection. 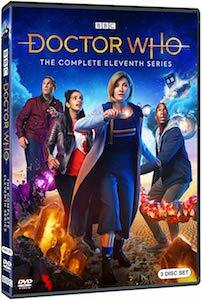 And luckily you can as this is the complete eleventh series and you can own it on Blu-ray or DVD. 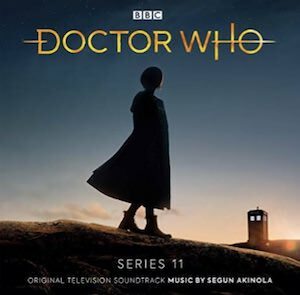 By getting the complete series 11 you can rewatch all the episode over and over again when ever you like to watch a fun Doctor Who adventure. If you are a Doctor Who fan in need of a cool bag then you should check out this 13th Doctor Crossbody Handbag. This is a stylish and just classy handbag that has many Doctor Who details. It all start with the carry sling that is striped in the colors the 13th Doctor’s shirt and then there is the main bag that is Tardis blue with many details you would see on the Tardis itself. 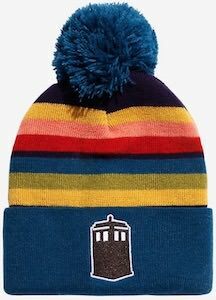 And on the bag it there is a badge that has the text from the top sign of the Tardis on it and it says “Police Public Call Box” and there is even a Tardis charm dangling on it. 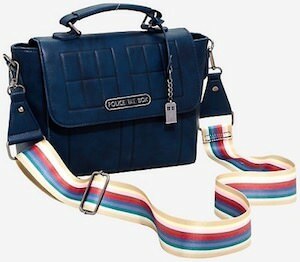 So if you want a cool Doctor Who bag then you have to click on the picture to see more details. Doctor Who fan can now have a candy from this 13th Doctor Pez Dispenser. 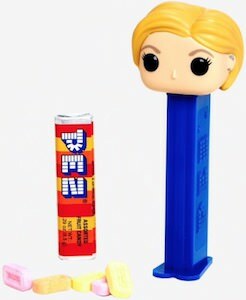 The Pez dispenser is 4 inches tall and is dark blue in color with on top the head of the first female Doctor Who and the dispenser comes with candy too so that you are ready to snack. And the Pez candy is Peanut, tree nut and gluten free. Any collector of Pez dispensers or Doctor Who stuff can now own this fun looking dispenser that comes in a nice box too. No need to eat the candy as just watching the Doctor is fun enough.